Just, just when I pull the trigger on a Nexus 5X, I see a link to this video taken by the Nexus 6P. And now I'm cold and confused, while still feeling warm and fuzzy inside. The video in question was taken by Eddy Talvala, the camera framework team lead at Google, and shared by Dave Burke on Twitter. 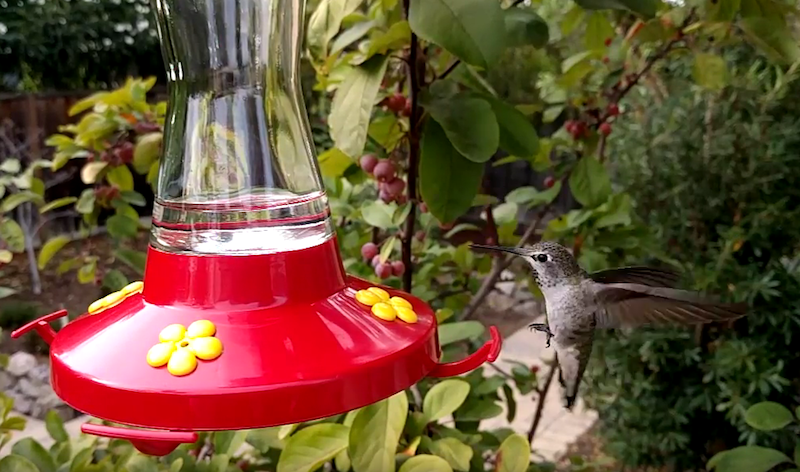 It features a hummingbird, the cutest hummingbird, flying around and beating its wings. Apparently, hummingbirds don't flap their wings, they beat them at a rate of 10-15 per second (pdf), and sometimes faster. With the Nexus 6P's 240fps slow-motion capture, you can clearly see every beat of the bird's wings. Just observe as the bird swerves through the air, maneuvers its body to change directions, all while keeping its head fascinatingly steady. Nature is a gorgeous thing. I can feel my heart flutter with the rhythm of those wings, and I really want a Nexus 6P now. Don't blame us if you do too.